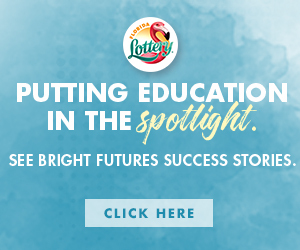 That’s the very spirit that local Edward Waters College student Dennis Jackson has shown as both a student and young entrepreneur striving for success. Recently, Jackson was honored at the Impact BizJax Business Expo where he won funding to help him in start his business “Primal Instinct,” a clothing line he has dreamt about for years. Jackson will soon graduate with his degree and jumpstart to his business. The young business owner is hopeful that other student and potential entrepreneurs at other Historically Black Colleges and Universities (HBCUs) follow suit. As a business major, one of the testaments to a strong business school at any college is the number of start up businesses that the educational institution helps to foster. Mr. Jackson also recently had the opportunity to attend the Florida Blogging and Social Media Conference in Orlando, Florida held at Full Sail University. The theme for the event was “Year of the Creator,” which addresses growing digital innovation and creativity. According to several attendees, the conference was a huge success and is growing. The 8th annual convention is attended by business owners, bloggers, social media experts, Podcasters and entrepreneurs. The theme was fitting as youth, teens and young adults are creating online businesses, creating graphic works of art and producers of content and development of Apps. 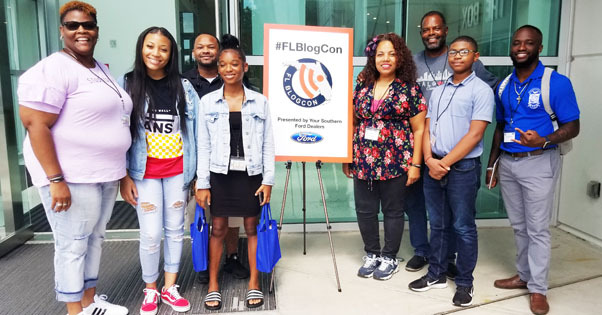 Bess Auer the creator of Florida Blogging and Social Media Conference provided opportunities for students from Edward Waters College and Duval County Public Schools to attend, be involved in workshops and encourage all students to learn and apply their learning as future entrepreneurs. The next technology event in Florida is WordCamp Orlando, Florida where William Jackson (My Quest To Teach) and Aida Correa (Love Built Life) are speakers and organizers for the KIDSCAMP. Shown is chaperone William Jackson with students Dennis Jackson, Minister Elisha Taylor, Jr., Elisha Taylor III, Aida Correa, Sandra Johnson, Jayla Tapley and Ahubri Dudley.